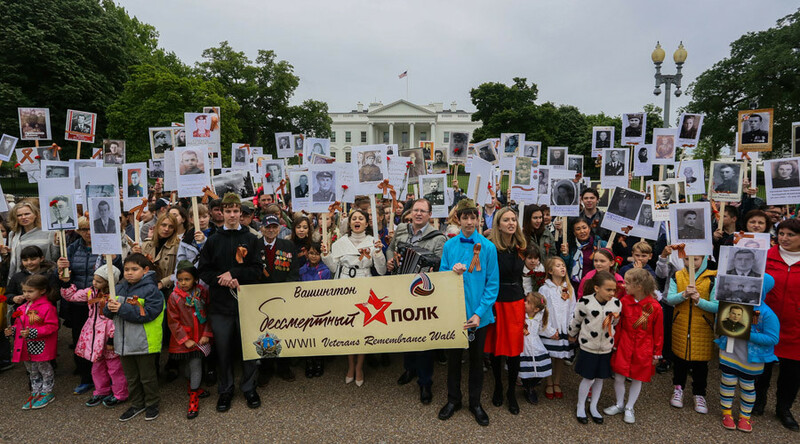 Groups of people carrying portraits of family members affected by World War II are appearing worldwide in the runup to Victory Day celebrations. What started as a local tradition in Russia has grown into a global phenomenon. 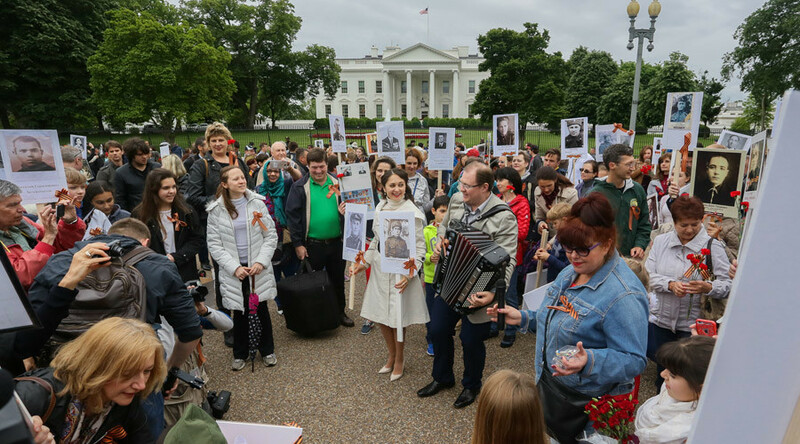 The ‘Immortal Regiment’ allows people to honor family members who were affected by the bloody conflict that was waged decades ago. Originating in the Russian city of Tomsk six years ago, the tradition has since spread to other nations affected by World War II. In some countries, merely dozens take part in the event. Most are descendants of families from the former Soviet Union. In others, like Israel, thousands march to honor their grandparents and great grandparents. Often, but not always, the local Russian diplomatic mission helps in organizing these events. An Immortal Regiment vigil was held in New York City’s Battery Park on Saturday. Similar events were staged in LA, Seattle, Miami, San Diego, Boston, and Washington, DC. A massive turnout was reported at two separate marches in Toronto, Canada, where up to 6,000 people showed up despite the rain. — Anya S. (@Anyichka) 7 мая 2017 г. In Spain, a commemoration held in Madrid attracted hundreds, while smaller events were reported in Barcelona, Valencia, Marbella, and other cities. 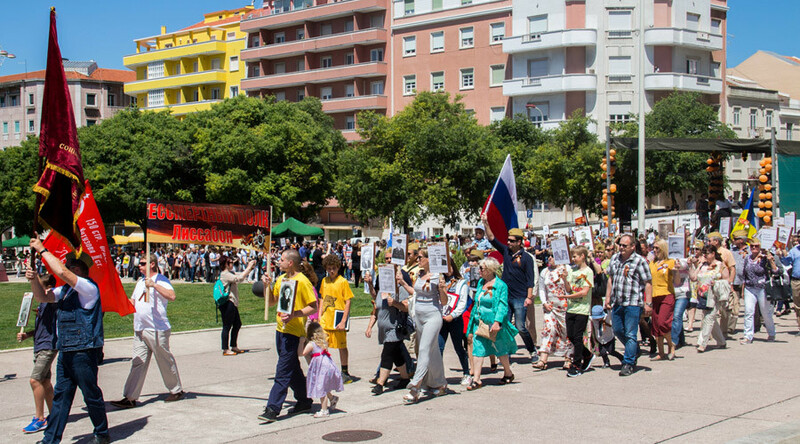 In Portugal’s capital, Lisbon, some 600 people took part in the ‘Immortal Regiment’ march, which was followed by a concert. In the Italian capital, two separate marches, organized independently by different groups, were held. A commemorative march was held in the city of Bologna. A march in Brisbane, Australia proceeded along the South Bank boardwalk. It was the second year the city participated. In Japan, the ‘Immortal Regiment’ march was held for the first time. 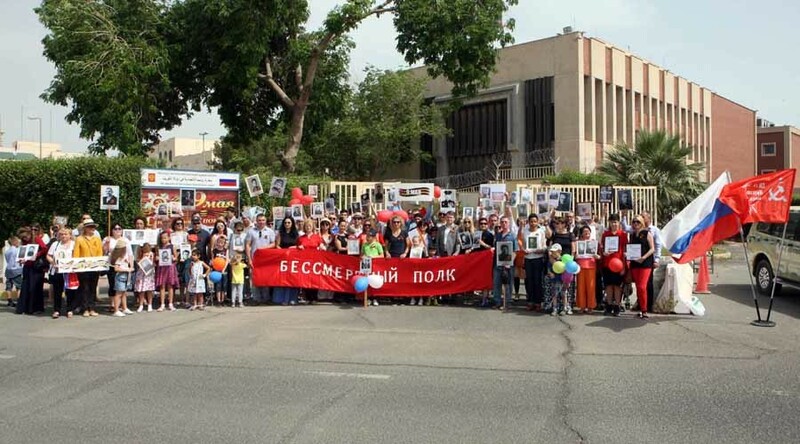 Some 150 people gathered at the Russian Embassy in Kuwait City for an Immortal Regiment event. The Immortal Regiment march in Kuwait. © Joseph Shagra, Head of Photography Department, Kuwait Times Newspaper. A similar event was staged near the embassy in Mexico City, halfway across the world. 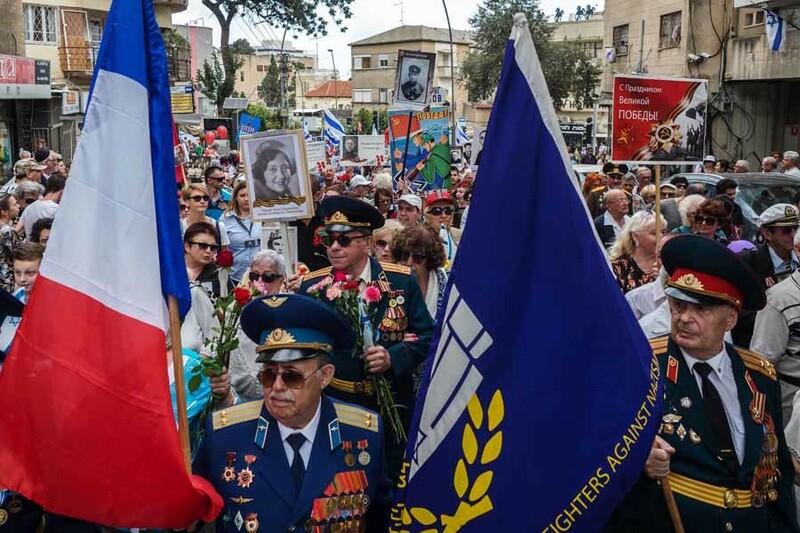 Israel’s Haifa held an Immortal Regiment march for the third time this year. That event was held on Friday, earlier than in other nations. In some cities, including Beijing and London, the vigils will be held on May 9, the date Victory Day is celebrated in Russia.